In a study published in PLOS Pathogens in June 2015, scientists at Bar-Ilan University in Israel report on a novel experimental model that, for the first time, successfully mimics the “sleeping” and “waking” of the varicella-zoster virus. The red, itchy rash caused by varicella-zoster, chickenpox virus usually disappears within a week or two. Yet once infection occurs, the varicella-zoster virus, or VZV, remains dormant in the nervous system awaiting a signal that re-activates this “sleeper” virus in the form of an extremely unpleasant but common disease: herpes zoster, or shingles. A release from the university explains that based on neurons generated from human embryonic stem cells, and not requiring the use of experimental animals, the model allows scientists to test drugs and develop therapies to prevent shingles. The treatments may also contribute to the fight against other viruses such as herpes and polio that target the human nervous system. 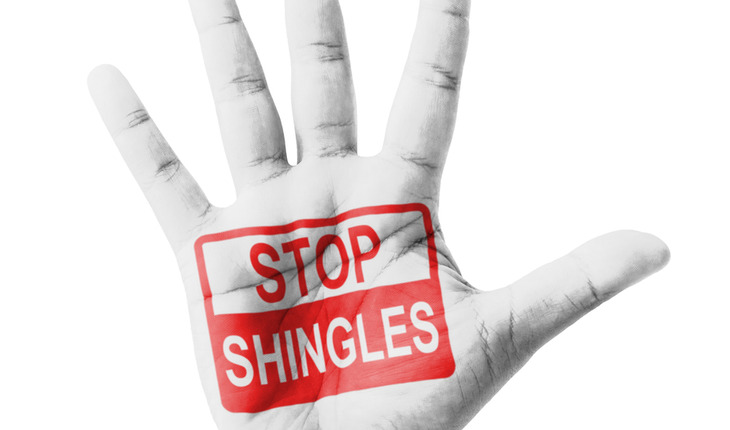 Goldstein explains that, while an anti-shingles vaccine exists, it provides effective protection in only 50% of cases and cannot be given to immune-compromised patients – such as transplant recipients – who are at particularly high risk for shingles onset. The new model, which makes it possible to establish stable, latent-state VZV in neurons derived from human embryonic stem cells (hESCs), was created by Amos Markus, a PhD student in Goldstein’s lab. A major contributor to the model is Prof. Paul “Kip” Kinchington of the Departments of Ophthalmology and of Microbiology and Molecular Genetics at the University of Pittsburgh, with whom Goldstein has been collaborating closely for the past five years. An authority on the genetic modification of VZV, Kinchington made key discoveries about proteins involved in VZV activity. The significance of this advance is in its potential impact on biomedical research; the model makes it possible to experimentally trigger re-activation of the dormant virus, to characterize the molecular processes involved, and to identify potential targets for shingles-prevention therapies. “We have now demonstrated hESC-derived neurons can host VZV in its dormant state in a petri dish for a period of up to seven weeks,” Goldstein says, adding that dormant infections were achieved using two different methods. In the first, neurons were exposed to small amounts of viral material together with anti-viral drugs. In the second method, a drug-free micro-fluidic set-up allowed the controlled infection of neural axons, something that more closely mimics the uptake of VZV by the human nervous system in chicken pox. According to Goldstein, shingles is frequently associated with the some immune-compromising, system-shocking event – a linkage he has incorporated into his cell-based, experimental platform. A key factor in VZV re-activation revealed by the study was the critical role of temperature. “At first, we had difficulty obtaining a robust re-activation in tissue culture,” Goldstein says. “We then remembered that – in both chicken pox and shingles – viral replication takes place in blisters on the surface of the skin, not in internal organs. To more accurately mimic the re-activation process as it occurs in the body, we cooled our dormantly-infected human neurons down to 34 degrees centigrade – three degrees lower than normal internal body temperature. We found that, under these cooler conditions, VZV re-activation proceeded at a much more rapid pace, with many more neurons affected. The current model builds on previous work in which Goldstein – a former President of the Israel Stem Cell Society who was the first researcher to successfully coax human embryonic stem cells (hESCs) into generating human peripheral sensory neurons – showed that hESC-derived neurons can host active, infectious VZV. In these earlier studies, Goldstein also produced microscopic movies showing – for the first time – how VZV rapidly takes up residence within living human neurons in culture, just as it does in children with chicken pox. Now, by creating an experimental model that mimics the transition between latency and active infection, Goldstein and his colleagues have taken another important step forward. Goldstein points out that for the past 20 years, chicken pox vaccinations used in the West contain a live virus that can, and has, re-activated to cause shingles. The new model, in addition to providing an experimental platform for the development of a safer VZV vaccine and genetic therapies to prevent shingles, may also be useful for testing drugs and genetic engineering strategies designed to combat any virus that attacks the human nervous system.